The City of Edmonton is hoping more citizens will sit down and chat with a stranger on their new Buddy Benches, which were unveiled Tuesday and will be placed throughout the city. “It’s for people like me who get lonely when they retire and they don’t have anybody to talk to,” said Dianne Kuntz, whose grandchildren came up with the idea. The benches are part of a pilot project partnership with CITYlab and were unveiled at Churchill Retirement Residence on Tuesday. Categories : International, Why Talk? A great article showing data about bus user frequencies and the possible social nature of different bus routes. ‘Familiar strangers are people we encounter often, but ignore. Even in enormous cities, our regular routines have us running into them all the time. But while the “concept” of familiar strangers is interesting, it’s rather difficult to quantify. Still, we wondered: is it possible to retrace the steps of an entire city to figure out who met who? Yes — it is. Categories : International, Public Transport, Why Talk? Forget what your parents told you about not talking to strangers. We regularly host meals in which strangers (just as initially hesitant, shy, and yet curious as you are) come together in unique spaces in London to explore experiences, ideas, regrets and aspirations with the help of some of the big thinkers of the past. We think that knowing how to have entertaining and meaningful conversations is a skill worth practising, so we provide diners with a specially-designed conversation menu inspired by the ideas of history’s movers and shakers that ensures you don’t end up talking about the congestion charge or nervously reaching for the diminishing bread basket. Come alone or with a friend, and expect the sort of stimulating and heart-warming conversations we have all dreamt of having, but so rarely do. 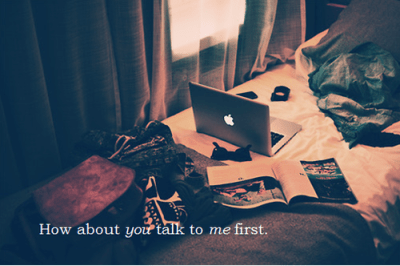 How about you talk to me first. Sometimes, I just need someone to talk to. PLATFORM was devised by the Public Art Unit, Project Services, and curated by Museum of Brisbane, Brisbane City Council. It has received financial assistance through Arts Queensland from art+place, the Queensland Government’s Public Art Fund. Any additional signage or opinions expressed on this website are the opinions of the artist, and not necessarily those of Project Services, Museum of Brisbane, art+place or Translink.